This squash top offers a fresh look and a pleasant feeling of freshness with its Climalite technology. 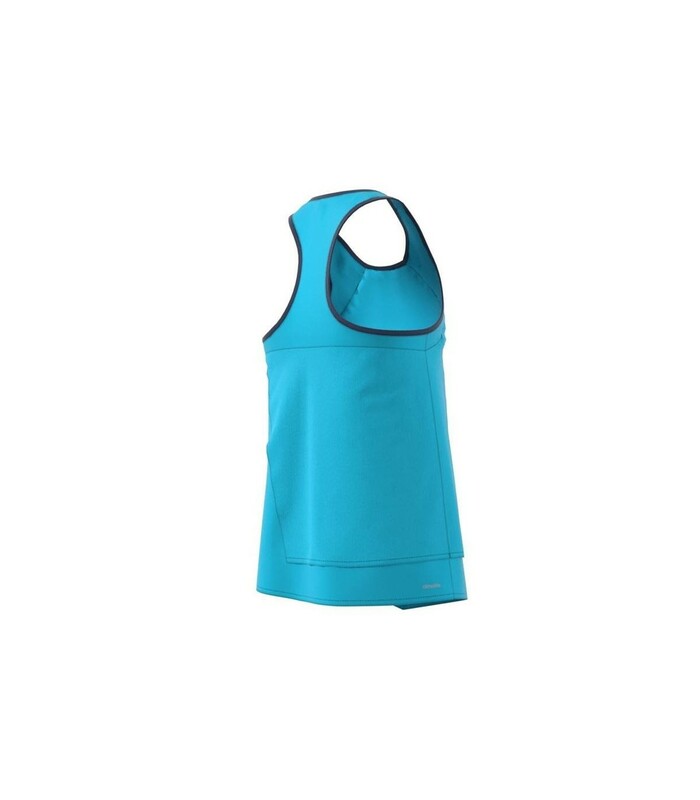 The Adidas Court Tank squash top for girls will please your child. 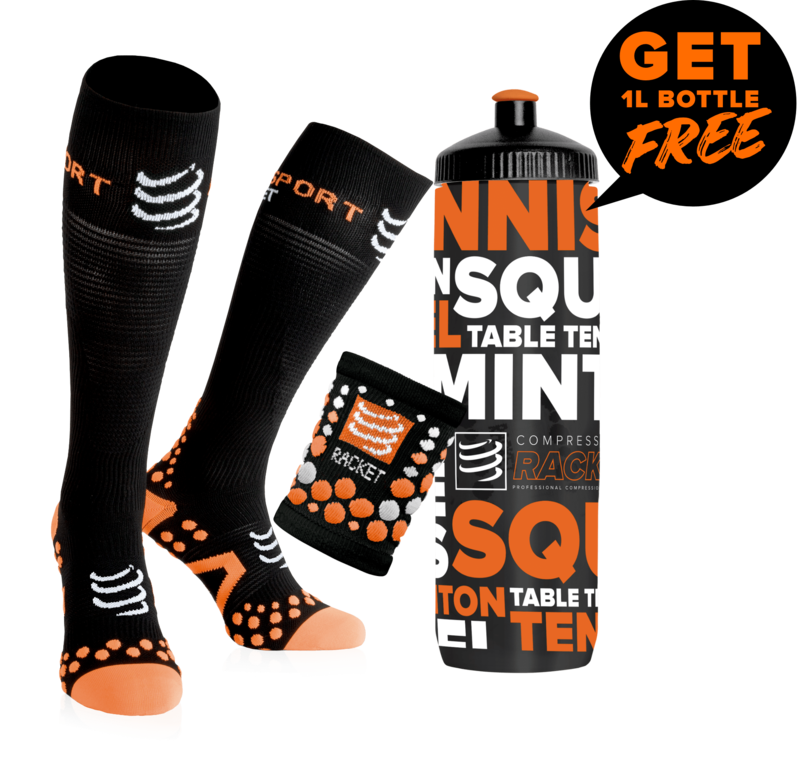 With its blue color, your daughter will not go unnoticed on the squash court. Its design and its color give your child an elegant and modern style. The Adidas Court Tank squash top is different from classic tops. 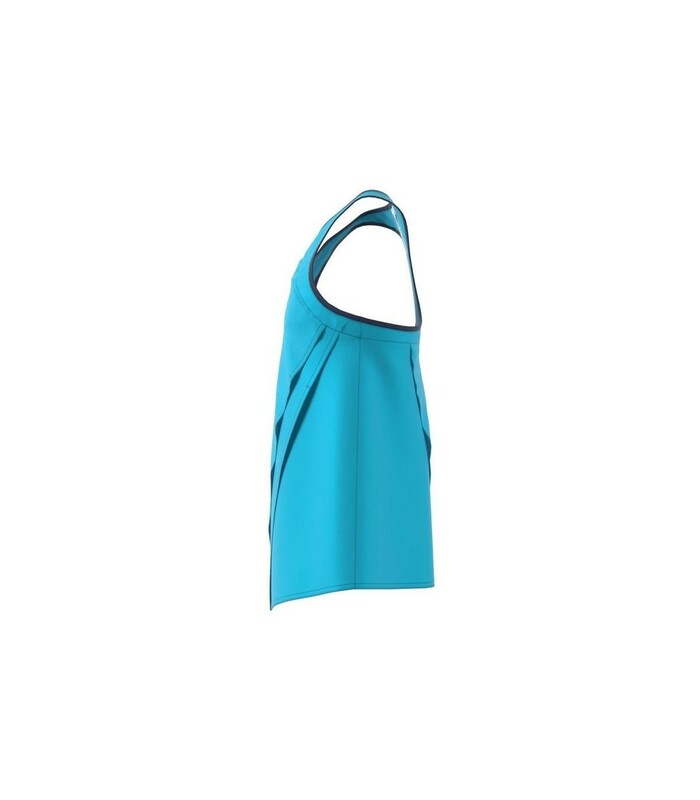 With its back swimmer, this squash top offers a sporty look to your daughter. With the Adidas Court Tank squash top, your daughter will look like her favorite players and she will be boosted to go beyond her limits. 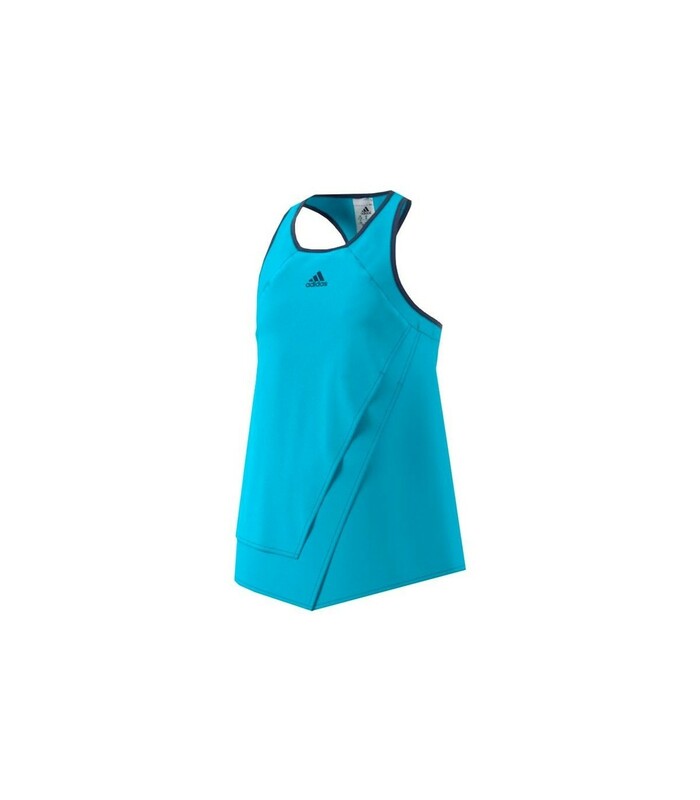 The Adidas Court Tank squash top is much more than just a top, it's a top that makes her self-confident and offers her a unique comfort with its Climalite technology. With its technology and its breathable material, your daughter will stay cool and dry even during intense squash sessions.